Do you need to get your ATAP - Alcohol Training Awareness Program certificate ? Earn your New York ATAP - Alcohol Training Awareness Program certificate (commonly called: "New York bartender license") by completing the Responsible Serving® of Alcohol Course for New York. 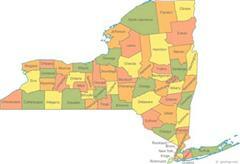 New York On-Premises ATAP Training Approved. The Rserving® Responsible Serving® of Alcohol Course is an approved Alcohol Training Awareness Program (ATAP), by the New York State Liquor Authority for New York servers and sellers certification. This approved New York alcohol server / seller ATAP On-Premise training course will train you in responsible serving® techniques for New York bartenders, servers, waiters and waitresses and will certify you to work in On-Premises establishments with your New York alcohol server / seller ATAP certification. New York has different requirements for on-premises and off-premises ATAP certified alcohol server / seller training. If you work in a convenience store, grocery store, liquor store or other any off-premises sale businesses, you will need to take the Rserving® Off-Premises Responsible Serving® ATAP course for Off-Premise training in responsible alcohol selling techniques for clerks and managers in New York. Receive your official PSCC Rserving Responsible Serving® of Alcohol Wallet Card for NY Responsible Serving® of Alcohol in the mail! After you complete the course, you are able to generate your printable certificate for NY Responsible Serving® of Alcohol immediately. You will automatically receive your PSCC Rserving bartender's license / wallet card for NY in the mail within 15 days. What is the minimum age to sell/serve alcohol in New York? The minimum age to sell and serve alcohol in New York is 18. The agency that handles New York liquor licensing rules and regulations in New York is The New York Division of Alcoholic Beverage Control - State Liquor Authority. The contact information for The New York Division of Alcoholic Beverage Control - State Liquor Authority is listed below. You can contact them to verify that online server certification can be obtained in New York. We have also listed that information where applicable. NY Happy Hour Laws: The following promotions are prohibited by licensees in the state of New York: To offer, sell, serve or deliver an unlimited number of drinks during any set period of time for a fixed price. To advertise, promote or charge a price for drinks by offering free drinks or multiple drinks for free or for the price of a single drink or for a low initial price followed by a price increment per hour for a minimal amount. Promotions that are allowed include two for one, half price, and Happy Hour special promotions when the drink is no lower than one-half of the regular price. -convicted of illegal using, carrying or possessing a pistol or other dangerous weapons. -buying, receiving, or criminally possessing stolen property. -unlawfully possessing, distribution habit forming narcotic drugs. -Violating sub divisions 6, 8, 10, 11 of Section 722 of the former Penal Law as in force and effect prior to September 1, 1967. If a felon will be working at a premises that is filed and operating as a restaurant with the SLA, they do not need a Certificate of Relief, despite their felony and/or misdemeanor.